I’ve blogged about many things but this will be my first beauty product review, I hope you like it. I’ll never forget the first time I went for a facial. The facialist asked me what my skincare regime consisted of. The horrified look on her face made me feel like I had just slapped her. You see, up until the age of 25 my skincare regime consisted mainly of using the ‘less glamorous’ good old bar of soap. No brand in particular, just soap. Fortunately for me, in the last few years I have been introduced to a variety of skincare brands, brands I had no idea existed up until now. I honestly felt I had taken a step in to the unknown and ended up in a beauty world version of Narnia, where I was discovering new fantasy lotions and potions on a daily basis. I’ve never looked back. I’m a complete beauty convert but I’m also a total tomboy at heart (can those 2 words even co-exist in the same sentence?) 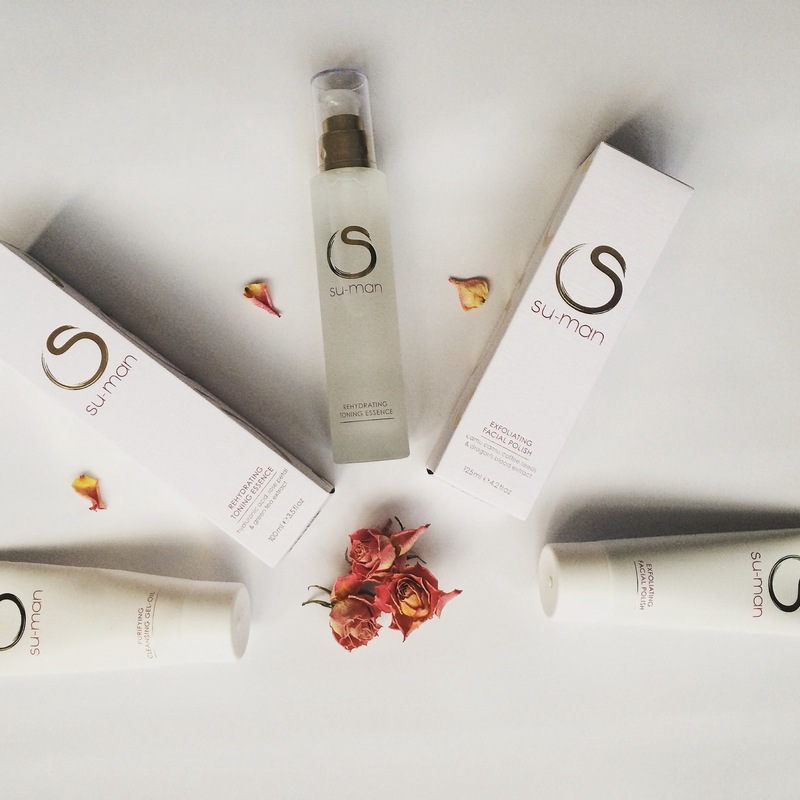 which means I am always on the lookout for the easiest routine which offers the best results on my skin. Cue Su-Man. 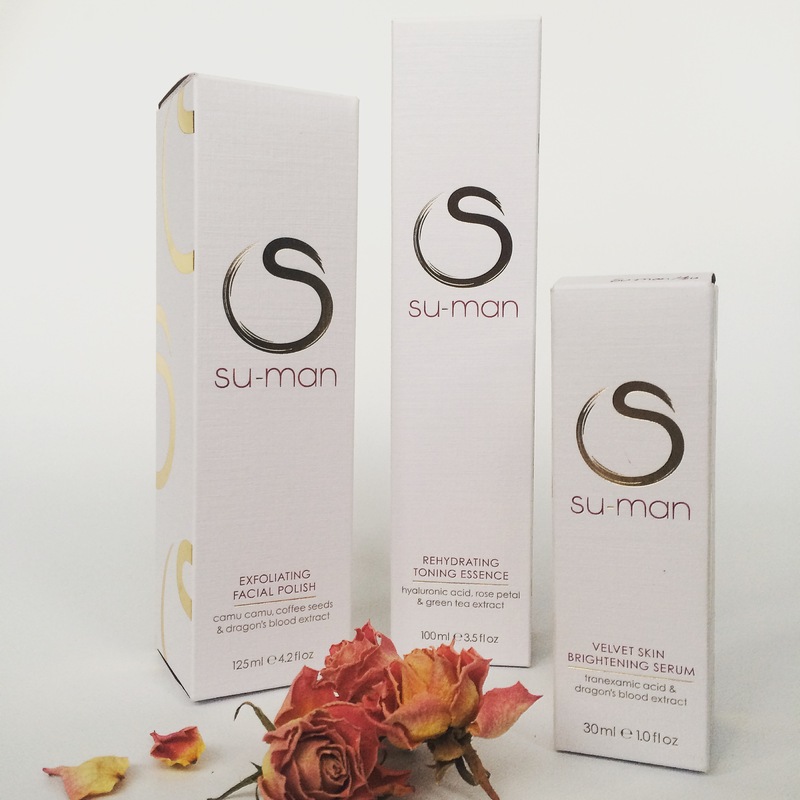 I’d heard the buzz about this brand and thought I’d do a bit of research and I’m still not entirely sure what I fell in love with first, the beautiful packaging, the rich coffee smell of the Exfoliating Facial Polish, the velvety texture of the Brightening Serum or Su-Man herself (About Su-Man). 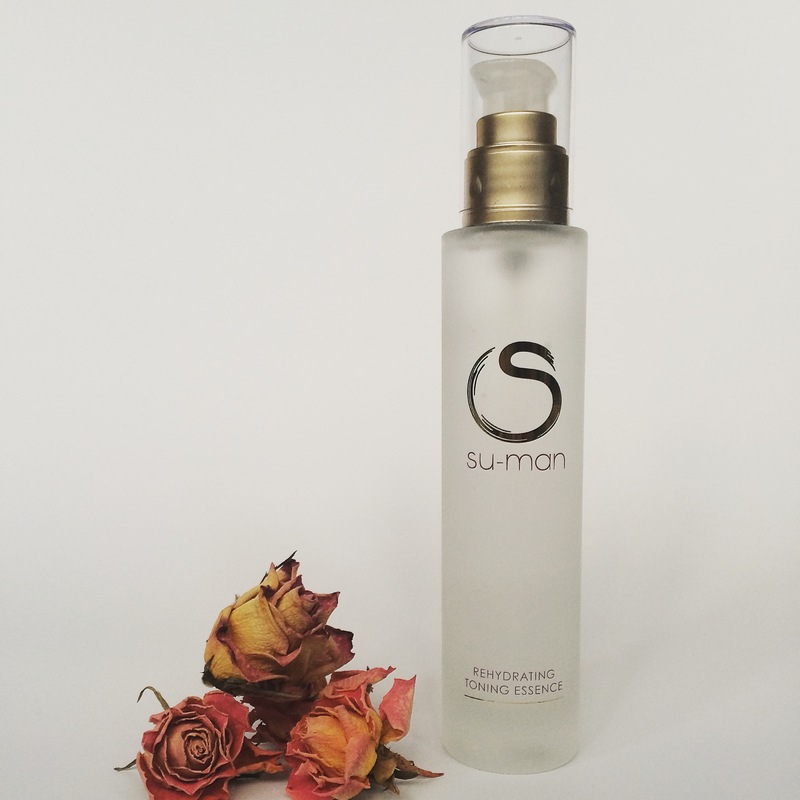 I use the cleanser (Purifying Cleansing Gel-Oil) on a daily basis, usually at night before I go to bed. It removes all the dirt and grime from the day with some gentle massaging. I love the texture, it’s smooth and soft and literally melts under your fingers! 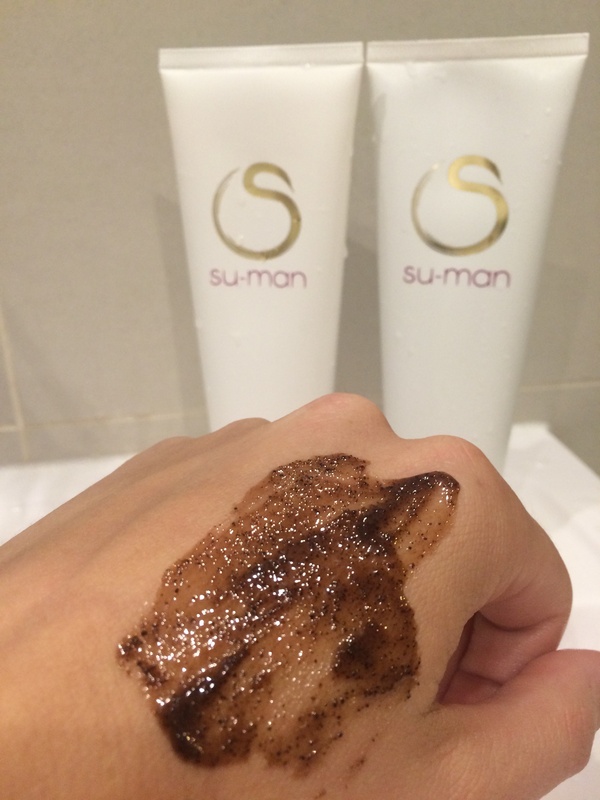 I can see why it won a (Tatler) Beauty Award for best cleanser in 2014! When my skin is feeling tired the first thing I reach for is the Exfoliating Facial Polish (Exfoliating Facial Polish), packed with camu camu, coffee seeds and dragon’s blood extract, it instantly brightens my skin and the coffee seeds help to buff away all those dead cells. The smell alone is just gorgeous! I’ve only recently added the toner (Rehydrating Toning Essence) to my regime and I couldn’t be happier. Apart from the fact that I don’t need to get cotton wool pads to apply the product, I can just gently tap the product in to my skin, the smooth texture is great. My skin just seems to drink it up! 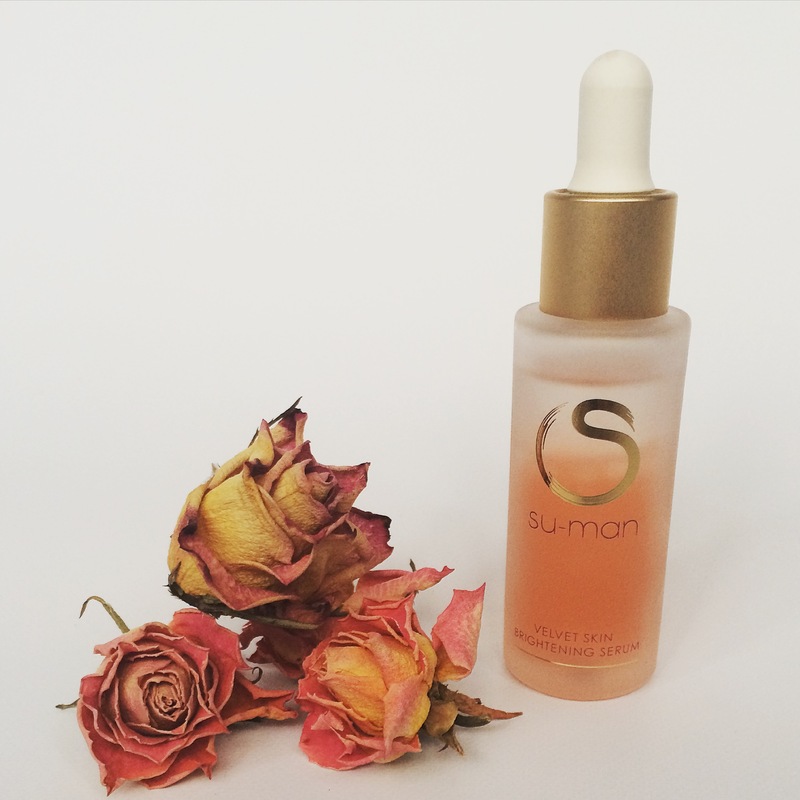 The absolutely indulgent Brightening Serum (Velvet Skin Brightening Serum). It has an almost gel like texture but once you apply the product it glides on to your skin pumping antioxidants back in to your skin. It doesn’t leave a sticky residue and on occasions I’ve not bothered with a night cream as my skin has felt so nourished. 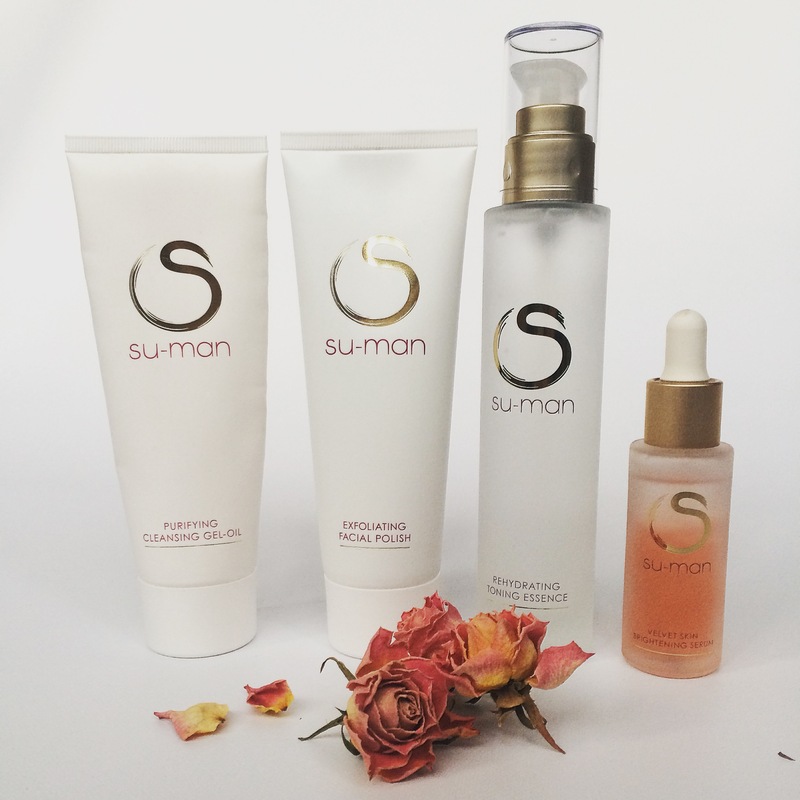 It’s a high-end brand but you definitely get what you pay for and I’ll certainly be treating myself to some more Su-Man, maybe as an early Christmas present to myself. Unless I’m a really good girl and Father Christmas sorts me out with a Facial from the lovely lady herself. A girl can dream can’t she.